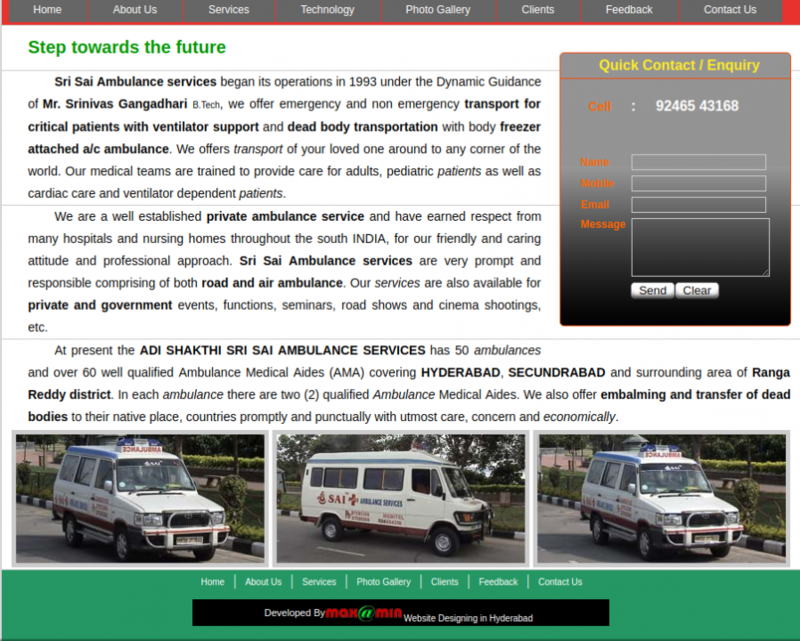 Sri Sai Ambulance services began its operations in 1993 under the Dynamic Guidance of Mr. Srinivas Gangadhari B.Tech, we offer emergency and non emergency transport for critical patients with ventilator support and dead body transportation with body freezer attached a/c ambulance. We are a well established private ambulance service and have earned respect from many hospitals and nursing homes throughout the south INDIA, for our friendly and caring attitude and professional approach. 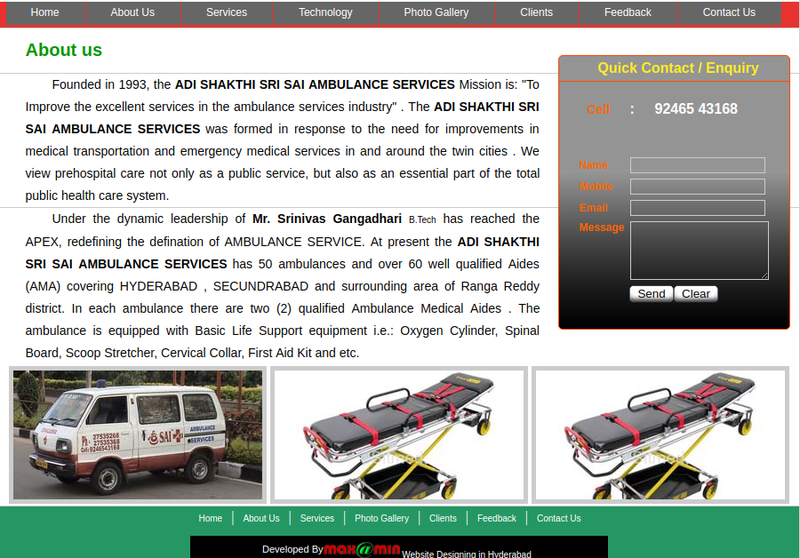 Sri Sai Ambulance services are very prompt and responsible comprising of both road and air ambulance. Our services are also available for private and government events, functions, seminars, road shows and cinema shootings, etc.